A couple of months ago, I started using a new laptop computer. It’s a Lenovo Yoga2Pro. It weighs barely three pounds, has specifications to die for, and runs most of a day on a battery charge—or can, once you tweak its power settings. I was perfectly happy with the Chromebook I’d started using about a year earlier, and laid out five times as much as the Chromebook had cost for a Yoga2Pro only because I’d gotten to the point where lack of easy FTP abilities in that Chromebook was sapping my productivity. And no, I sure didn’t need to spend Yoga2Pro money just to get a computer with easier file transfer; there are lots of great $400 computers available today. But after the Chromebook and my previous Acer Netbook I’d gotten used to carrying around a lightweight computer with a long battery life and couldn’t go back. I did a lot of research and Lenovo’s Yoga2Pro was the best combination of price, performance, and that weight/battery equation I could find. Let me be clear, I don’t need that ultra-high resolution, and neither do you. And as of this writing I don’t know whether Lenovo is putting 1600×900 displays into the Yoga2Pro line and pretending they run at 3200×1800 using a software trick, or as the Lenovo support person I spoke with claimed, putting actual 3200×1800 panels into the Yoga2Pros and then downshifting them because Windows can’t really support such high resolution. I do know, though, that Microsoft claims Windows 8 to be capable of going much higher than the 1920×1080 the Lenovo person stated was its limit. Bigger isn’t always better, and the resolution wars are creating some very expensive items that you just don’t need. As I said, all I want is for my Yoga2Pro to actually run at the 1920×1080 resolution it says it’s using, and to be able to access all the web sites I use. But Lenovo’s trick, almost regardless of which direction they’ve run it in the Yoga2Pro, represents customer service of the worst kind, and the fact that calling Lenovo technical support yields what appears to be a completely incorrect answer makes the problem worse. You don’t approach Influency this way, right? Customer Service—certainly, the honest representation of the specifications of the products and services you sell—matters, and with the computer market heading in the wrong direction and brand meaning a little as it’s come to, Lenovo needs to straighten this issue out. 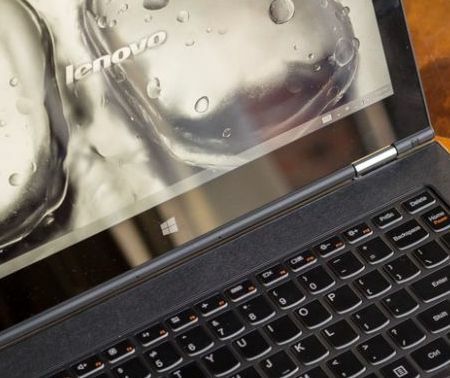 In one way or another, Lenovo is practicing anti-Influency. I’ve posted a query on the issue with the Yoga2Pro’s screen resolution on a Lenovo forum. Let’s hope we see an answer, soon. Addendum, January 28 2014: I have good news. Lenovo isn’t lying about the capabilities of the Yoga 2 Pro; its screen really does do 3200×1800. It’s overkill and you’d need the vision of a hawk to want such a thing, but again, at least Lenovo isn’t lying; even though such resolutions are silly, the Yoga2Pro really can display 3200×1800 resolution on its 13.3″ display. But the problem with how that’s achieved and explained is still there; the Lenovo representative was wrong in blaming Windows, and the reality is that I was getting 1600×900 because Lenovo had defaulted Windows’ screen to “2x” mode but doesn’t explain that idea or how it works. Want The Answer Guy to get your Influency headed in the right direction? Contact me here. Here “2x” means “scaled 200%”. The reason why they use 2x scale is so things won’t appear too small, which is a problem that many people have complained about for ultra-high resolution devices. Just set the text size to 100%, and you will be back to the default 1x, 3200×1800 resolution. Good luck, and thanks for the article! Thanks, Timothy. I’ve found solutions like that myself, but having you chime in here is certainly welcome. Funny thing is this, though: on that article, the sub-head is Questions remain about how well this fixes the problem. I couldn’t agree more. I’m happy with the Yoga2Pro and I think anyone looking for a great solution to more problems than they realized they had would do well to buy one. But in so may ways, just buying a computer that runs at a more standard resolution makes more sense; my original point way back when Apple started the retina wars feels more “right” than ever!